1. The Trump/Xi summit has the world’s attention for the markets are fixated on a hoped for diminution in trade tensions between the world’s two largest economies. MY CONJECTURE is that you will hear of the U.S. backing off from the next rate increase to 25 percent as China promises to allow more foreign investment into certain sensitive sectors while asking for more time to curtail the theft of intellectual property. President Xi has hoped to rally support from Europe and Japan in an effort to isolate the U.S. on the issue of tariffs. However, on Thursday, there was a Financial Times article titled, “UK and Germany Wary of Huawei As US Turns Up Pressure,” which shows that Europe is very concerned about Chinese cyber espionage. The Chinese telecom giant Huawei is being blocked from the potential to roll out its G5 network for fear of embedded cyber attack software in its products. Xi is going to have to abide by the wisdom of Deng Xiaoping “to lie low” and not provoke. Well, it is too late to lie low but a compromise on some issues critical to President will imply less provocation. The problem for markets is will trump ask for too much if he senses that Xi is too compliant? The best indicator will be the Chinese yuan. If it weakens dramatically because of a perceived summit failure many asset classes will sold. A very weak YUAN will initiate fears about an onset of disinflation as China moves to dump goods all over the globe in an effort to prevent a further slowdown in its economy. It is interesting that Peter Navarro has been reinvited to the summit, providing a hint that the discussions will be very contentious. If Navarro is at the meeting IT OUGHT TO PROVOKE Larry Kudlow’s resignation. Did Russia seize the ships as a negotiating ploy in order to be seen as lessening tensions by offering a negotiation. This week Putin gave an interview in which he repeatedly stressed that the U.S. sanctions are a continuing concern to the Russians and are seeking ways of diminishing the economic impact. The idea that NATO would send ships to the Ukranian defense is preposterous for to paraphrase Bismarck. It is not worth the bones of a single special forces soldier of the U.S. But watch closely to see if Putin raises the stakes of a diminishing supply of energy to Europe as winter sets in over its Northern parts. The Russians can also play upon the Saudis for the world’s largest oil exporter owes a large debt to the Russians for having bailed them out in Syria against the Iranians. It was a little over a year ago when the Saudi King made a historic visit to Moscow. The low for the next year in crude oil was made on October 6 at $49.10. 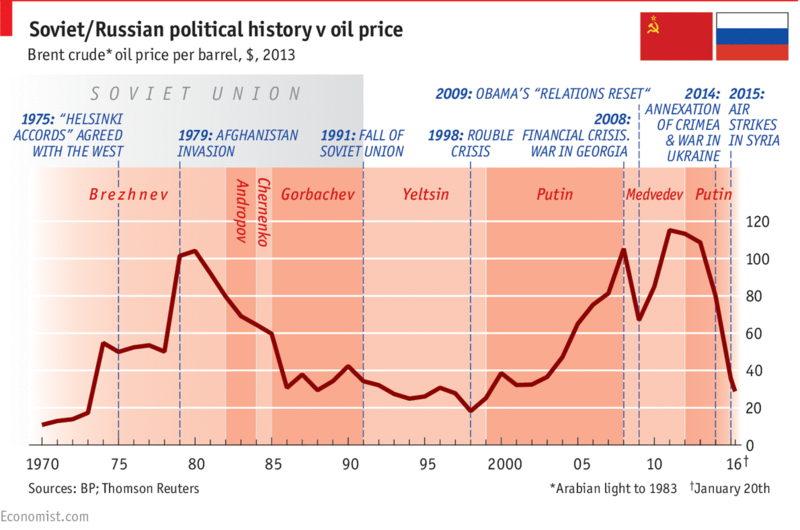 Now that we were back to that level this morning it is important to watch for a possible Russian /Saudi deal on oil. Trump is not the only world leader that the Saudi monarchy owes favors. Also, I know that the death of Jamal Khashoggi is deemed an important event for he is considered a “journalist” for the Washington Post. This Saudi citizen was involved in political intrigue for several decades and was under the protection of his notorious relative, Adnan Khashoggi, the world’s largest arms dealer. Many years ago Jamal was thought by many to be a CIA operative and played all sides against each other. In addition, Saudi Arabia is a monarchy, which is defined by the King being the law. Saudi Arabia is not a constitutional monarchy, the KING is the law. This KINGDOM still maintains mass public executions. It is sad for his loved ones but should not be an event that plays upon international diplomacy. (I suggest you google him and learn about the character in question). Any global denigration of Prince Mohammad Bin Salman (MBS) will result in a tighter alliance between Russia and the Saudi Monarchy. 3. Pay attention to the rise of trade tensions between the U.S. and Europe, especially Germany. The German DAX index has been struggling to rally even as it experiences negative nominal yields with an annual 2.2% rise in its harmonized CPI released today. Where is a German investor supposed to invest to protect their savings? In the U.S., investors bought stocks in response to Bernanke’s QE program but in Germany the DAX is down more than 10 percent on the year. There are fears that President Trump is desirous of placing a 25 percent tariff on German cars exported to the U.S. It was at the last G-7 meeting where Chancellor Merkel embarrassed President Trump in that picture as she glowered at him across the table. Chancellor, beware of the outrage of a narcissist SCORNED. Now that Angela Merkel is politically very weak, look for Trump to respond by pushing hard for Germany to correct its massive current account and trade surpluses. There will be plenty of support for Trump from other European nations that would be in favor of Germany embarking upon a massive program of fiscal stimulus. The major outcome would be if Germany rallied to support a G-20 initiative to improve global infrastructure. Again, the circus is in town and there are many balls in the air. The tigers are roaring. The tightrope walkers are trying to balance and the cameras are focused on the ringmaster in the center ring? Would you prefer popcorn or edamame? This entry was posted on November 29, 2018 at 9:18 pm and is filed under G-20, Oil. You can follow any responses to this entry through the RSS 2.0 feed. You can leave a response, or trackback from your own site. Yra- There aren’t many world leaders who aren’t narcissists. It’s just that some cover it up with sheep’s clothing of feigned humility, and some let it all hang out like our President. But leveling the trade playing field is a very worthy goal. Why should Germany charge 10% on Chevys and we charge 2.5% on VWs. Why does China need more time to stop pilfering IP? If a thief in a court of law promises to give up his trade but just needs another year or two to break his nasty habits, would the judge say OK? Why are China’s markets protected as if the were an EM nation? This is 2018 not 1948. The goal should be zero tariffs for all. Totally free markets. (That goes for the bumbling Fed, ECB and BoJ too). As to Putin, he took the Crimea without a shot. Obama and the EU yelled for a few minutes and that was that. Barack sent some blankets to Kiev. Bad guys test their opponents all the time. Hitler and the Sudetenland. Tojo in Mongolia. Mussolini in Ethiopia. Crimea is where FDR and Churchill allowed Stalin to take over Eastern Europe and this was followed by the 45 year Cold War. A weak Russian with a deuce and a three in his hand outplayed his western poker players. The lesson learned is that you stop bad guys as early in the game as you can. Especially when you are holding the aces. The stakes keep going up if you don’t. Go Navarro and Lighthizer. and Kudlow to CNBC. LEVEL THE PLAYING FIELD ! Rather than popcorn or edamame, why not peanuts? Bring Jimmy Carter to the Big Top too, let’s put a grain embargo on Russia for their latest stunt, and like my shampoo bottle says, “Later, Rinse, Repeat”. What’s old is new again. The event (G20) will be one of the most important this year, maybe?